2018 Katy Christmas Lights Limo and Party Bus Tours in Houston, Sugar Land, Fulshear, Cypress area. 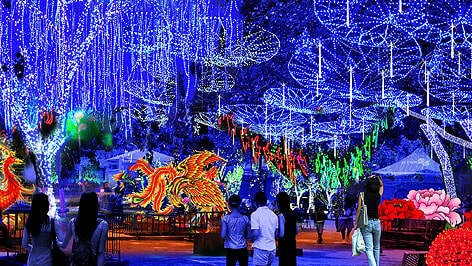 Experience the joys of Light Displays in the Greater Houston Area. There are a variety of subdivisions like River Oaks Area. Highland Village, River Oaks Shopping Center, and Uptown. Prestonwood Forest, Woodland Heights / Lights in The Heights, Tanglewood Subdivision, Candlelight Park – Heights Area, Shepherd Park, Zoo Lights at the Houston Zoo that display lights for your enjoyment in Houston. Looking for something special this year for your limo Light Tour? Consider viewing the holiday lights in your area with family and friends in a "sleigh ride" - limousine-style. 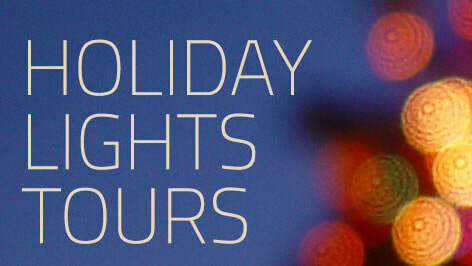 Light Tours can be customized to meet your needs and desires. All Limo and Shuttle Bus Tour destination options are available for any event.